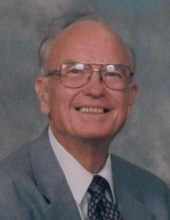 Lee Henry Estep, 91, of Newton passed away Saturday, February 09, 2019 at his residence. Henry was born June 12, 1927 in Ellijay County, GA to the late Henry Fletus Estep and Hattie Roberts Estep. He was a veteran of the U.S. Navy. Henry was a member of First Baptist Church in Maiden. In addition to his parents, he was preceded in death by wife, Bobbie Wilkinson Estep; two sons, Neil and Byron Estep; a brother, Fletus Estep; and a sister, Ruth Overcash. The funeral service will be held on Tuesday, February 12, 2019 at 3:00 p.m. at First Baptist Church in Maiden with Rev. Eddie Andrews officiating. Burial will follow in St. Matthews United Church of Christ in Maiden. The family will receive friends on Tuesday from 2:00 to 2:45 p.m. at the church prior to the service. Memorials may be made to First Baptist Church of Maiden or Carolina Caring of Catawba County. Burke Mortuary in Maiden is serving the Estep Family. To send flowers or a remembrance gift to the family of Lee Henry Estep, please visit our Tribute Store. "Email Address" would like to share the life celebration of Lee Henry Estep. Click on the "link" to go to share a favorite memory or leave a condolence message for the family.